萩森伸一. 外耳道異物診断. 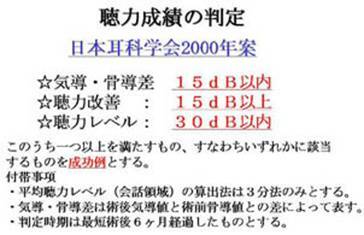 すぐに役立つ外来耳鼻咽喉科疾患診療のコツ. 肥塚　泉　編, 全日本病院出版会. 2008: pp51-54. 萩森伸一. 症状・症候2. 耳漏. コア・ローテイション　耳鼻咽喉科・頭頸部外科. 竹中　洋、高橋　姿、久　育男　編, 金芳堂; 2003: pp4-5. 萩森伸一. 疾患 2. 急性中耳炎. コア・ローテイション　耳鼻咽喉科・頭頸部外科. 竹中　洋、高橋　姿、久　育男　編, 金芳堂; 2003: pp54-55. 萩森伸一. 疾患 3. 滲出性中耳炎. コア・ローテイション　耳鼻咽喉科・頭頸部外科. 竹中　洋、高橋　姿、久　育男　編, 金芳堂; 2003: pp56-57. Takasaki K, Balaban CD, Miura M, Haginomori S, Kobayashi T, Sando I. Morphometric and morphological study of eustachian tube cartilage; congenital anomalous cases with or without cleft palate. possible classification of phenotype in cleft palate. a preliminary report. In: Takasaka T., Yuasa R., Hozawa K. eds. Recent Advances in Otitis Media. Bologna: Monduzzi Editore, 2002; pp181-6. 萩森伸一. 聴覚障害を生じる薬物－点耳洗浄. 耳鼻頭頸, 81: 747-752, 2009. 萩森伸一. 軟素材を用いた外耳道後壁の再建. 耳鼻臨床, 102: 598-599, 2009. 萩森伸一. 日本のプライマリケア-よくある健康問題100「耳痛」, 綜合臨床, 55: 196-200, 2006. 萩森伸一、錐体尖コレステリン肉芽腫, JOHNS, 21: 311-315, 2005. 萩森伸一、顔面神経減荷術を始めるにあたって, Facial N Res Jpn, 25: 23-24, 2005. 萩森伸一、竹中　洋、好酸球性中耳炎, Allergia Trends, 7: 14-17, 2005. Haginomori S, Mori A, Kanazawa A, Takenaka H. Endoscopy-assisted surgery with topical mitomycin for a cholesterol granuloma in the petrous apex. Laryngoscope, in press. 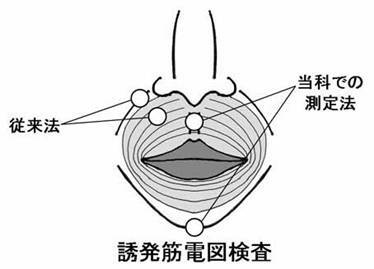 Haginomori S, Wada S, Takamaki A, Kanazawa A, Nonaka R, Takenaka H, Takubo T. A novel electroneurography method in facial palsy. Acta Otolaryngol, in press. 森　京子、萩森伸一、金沢敦子、野中隆三郎、竹中　洋. 中耳真珠腫における半規管瘻孔－瘻孔部位と術後聴力－. Otology Japan 19: 173-176, 2009. 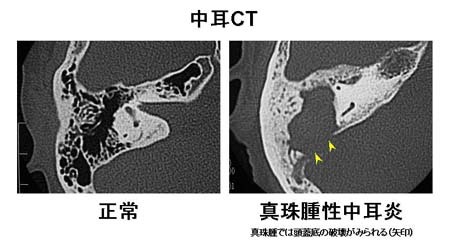 Haginomori S, Takamaki A, Nonaka R, Mineharu A, Kanazawa A, Takenaka H. Postoperative aeration in the middle ear and hearing outcome after canal wall down tympanoplasty with soft-wall reconstruction for cholesteatoma. Otol Neurotol 30: 478-483, 2009. Haginomori SI, Wada SI, Takamaki A, Nonaka R, Takenaka H, Takubo T. A new method for measuring compound action potentials in facial palsy: preliminary study. Muscle Nerve 37: 764-769, 2008. Haginomori S-I, Nonaka R, Takenaka H, Ueda K. Canal wall-down tympanoplasty with soft-wall reconstruction using the pedicled temporoparietal fascial flap: technique and preliminary results. Ann Otol Rhinol Laryngol 117: 719-726, 2008. 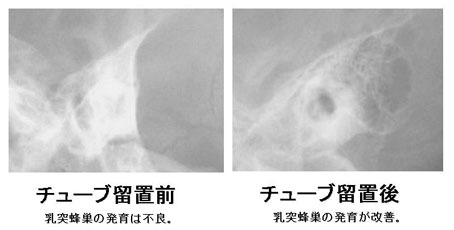 Haginomori SI, Takamaki A, Nonaka R, Takenaka H. Residual cholesteatoma: incidence and localization in canal-wall-down tympanoplasty with soft-wall reconstruction. Arch Otolaryngol Head Neck Surg 134: 652-657, 2008. Haginomori S-I, Miyatake S-I, Inui T, Araki M, Kawabata S, Takamaki A, Lee K, Takenaka H, Kuroiwa T, Uesugi Y, Kumada H, Ono K. Planned fractionated boron neutron capture therapy using epithermal neutrons for a patient with recurrent squamous cell carcinoma in the temporal bone: a case report. Head Neck 31: 412-418, 2008. 和田晋一、萩森伸一、高巻京子、金沢敦子、野中隆三郎、竹中　洋, 健常人の口輪筋CMAP測定における左右差と再現性―正中法と一般法の比較、特に各被検者内の差について－, Facial N Res Jpn, 128：85-87, 2008. 乾　崇樹、萩森伸一、櫟原新平、高巻京子、竹中　洋, ヘルペス脳炎を合併したRamsay-Hunt症候群の１例, Facial N Res Jpn, 28: 158-161, 2008. 萩森伸一, Tissue engineeringを用いた中耳粘膜再生の可能性, 大阪医科大学雑誌, 67: 181-182, 2008. Kanazawa A, Haginomori SI, Takamaki A, Nonaka R, Araki M, Takenaka H. Prognosis of Bell’s palsy: A comparison of diabetic and nondiabetic patient. Acta Otolaryngol 127: 888-891, 2007. 高巻京子、萩森伸一、山口智子、竹中　洋、久野友子、玉井　浩、辻　求, 反復する顔面神経麻痺を呈した急性骨髄性白血病の１症例, 耳喉頭頸, 80: 221-225, 2008. 和田晋一、萩森伸一、高巻京子、野中隆三郎、竹中　洋. 健常人の口輪筋CMAP測定における左右差について　－オトガイ法と一般法の比較－. Facial N Res Jpn 27: 153-156, 2007. Kakiuchi M, Tsujigiwa H, Orita Y, Nagatsuka H, Yoshinobu J, Kariya S, Haginomori SI, Orita S, Fukushima K, Okano M, Nagai N, Nishizaki K. Cyclooxygenase 2 expression in otitis media with effusion. Am J Otolaryngol 27: 81-85, 2006. Kuwabara H, Haginomori SI, Takamaki A, Ito K, Takenaka H, Kurisu Y, Tsuji M, Mori H. Lipomatous pleomorphic adenoma of the ceruminous gland. Pathol Int 56: 51-53, 2006. 和田晋一、萩森伸一、高巻京子、野中隆三郎、竹中　洋, ENoG測定に適した口輪筋上の電極設置位置について (第2報）, Facial N Res Jpn, 26: 68-70, 2006. 萩森伸一、耳・咽喉頭からみた鼻副鼻腔疾患　－耳からみた鼻副鼻腔疾患ー, 日本鼻科学会会誌, 45:118-120, 2006. 和田晋一、萩森伸一、長谷川敦子、野中隆三郎、竹中　洋, ENoG測定に適した口輪筋上の電極設置位置について, Facial N Res Jpn, 25: 55-57, 2005. 長谷川敦子、萩森伸一、藤井美和、野中隆三郎、竹中　洋, 糖尿病を合併したBell麻痺患者の臨床統計, Facial N Res Jpn, 25: 99-101, 2005. 八木美和、萩森伸一、長谷川敦子、野中隆三郎、大城康司、竹中　洋, 当科における鼓室形成術後の聴力改善成績について, Otol Jpn, 15: 219-222, 2005. Haginomori S-I, Nonaka R, Hoshijima H, Higashikawa M, Takenaka H, Uesugi Y, Narabayashi I. Enlarged bony portion of the eustachian tube in oculoauriculovertebral spectrum, Otol Neurotol 24: 961-2, 2003. Haginomori S-I, Kawata R, Yagi M, Hyo S, Takenaka H, Maeda T. Expression of cyclooxygenase-1 and cyclooxygenase-2 in mitotic cells in squamous cell carcinoma of the head and neck: a preliminary study. Bull Osaka Med Coll 49: 17-20, 2003. Orita Y, Sando I, Miura M, Haginomori SI, Hirsch BE. Cochleosaccular pathology after perinatal and postnatal asphyxia: histopathologic findings. Otol Neurotol 23: 34-38, 2002. Miura M, Sando I, Balaban CD, Takasaki K, Haginomori S-I. Estimated narrowest portion of the eustachian tube lumen during closed and open states . Ann Otol Rhinol Laryngol 111: 255-260, 2002. Haginomori S-I, Sando I, Miura M, Casselbrant ML. Temporal bone histopathology in CHARGE association. Ann Otol Rhinol Laryngol 111: 397-401, 2002. Miura M, Sando I, Balaban CD, Haginomori S-I, Orita Y. Temporal bone morphometric study of the eustachian tube and its associated structures in patients with chromosomal aberrations.. Ann Otol Rhinol Laryngol 111: 722-729, 2002. Haginomori S-I, Balaban CD, Miura M, Takasaki K, Sando I. Cellular proliferation of mucosa-associated lymphoid tissue with otitis media: a preliminary study. Ann Otol Rhinol Laryngol 111: 926-932, 2002. 萩森伸一、野中隆三郎、竹中　洋, 中頭蓋窩転移性腫瘍による顔面神経麻痺の１症例, Facial N Res Jpn, 22: 142-144, 2002. Haginomori S-I, Sando I, Miura M, Orita Y, Hirsch BH. Medial high jugular bulb. Otol Neurotol 22: 423-425, 2001. Kamimura M, Sando I, Balaban CD, Haginomori S-I. Mucosa-associated lymphoid tissue (MALT) in middle ear and eustachian tube. Ann Otol Rhinol Laryngol 110: 243-247, 2001. Miura M, Sando I, Takasaki K, Haginomori S-I, Hirsch BH. Histological study of temporal bone and Eustachian tube in oculoauriculovertebural spectrum. Ann Otol Rhinol Laryngol 110: 922-927, 2001. Miura M, Sando I, Haginomori S-I, Casselbrant ML. Histopathological study on temporal bone and eustachian tube in trisomy 22. Int J Pediatr Otorhinolaryngol 56:191-198, 2000. 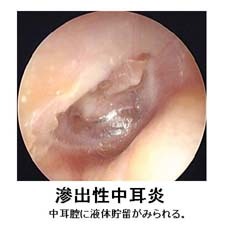 Ikui A, Sando I, Haginomori S-I, Sudo M. Postnatal development of the tympanic cavity: Computer-aided reconstruction and measurement study. Acta Otolaryngol 120: 375-379, 2000. Takasaki K, Sando I, Balaban CD, Haginomori S-I, Ishijima K, Kitagawa M. Histopathological changes of the eustachian tube cartilage and the tensor veli palatini muscle with aging. Laryngoscope 109: 1679-1683, 1999.